I am new in a "Betacam technology" and I tried digitized some Betacam SP tapes..result is visually good, but I have some problem with stability of picture (lines) and I don't know if it is normal for this technology or I am doing something wrong. I tried two players DVW-A510P and HDW-M2000, recorded via SDI (Blackmagic shuttle) but same result. Will be same result with SP players? These 5 signals are in all videos with dub inputs and outpus? The dub has more quality that the BNC outputs? The UVW-1800 is a very finicky machine that only likes Betacam SP. Hello, can I use these tapes in the Sony UVW-1800P? You or somebody that has a Betacam video can connect a vhs or Betamax to Betacam for see if appears this error? There is a problem with the reference sync. Can be many causes, you'll need to get a copy of the service manual. Is normal that happen this? Because these things can get very complicated, best thing to do is download the service manual from the link I listed. That will give you some idea what the problem is and you can then decide if you can fix it yourself or if you need professional help. Hey guys, very new to this. I have a BVV-5 VTR and a couple tapes I want to watch for it. The only problem is, right now I can either buy a playback adapter, which would cost me and I dont have another power supply, or I could buy and actual unit, such as the BVW-75 or a UVW-1800 but those are also extremely expensive for my budget. Is there a way to get any signal out of the PB adapter or is that a no-go? 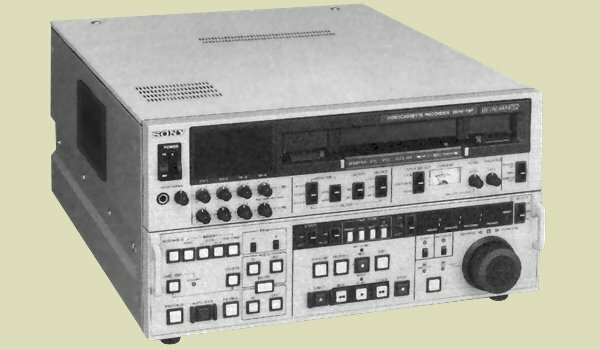 Venca, it looks like a rebadged Sony DVW-500 DigiBeta machine. The strange thing is, there is actually no 'Error 52' but there is an 'Error 92'. Could it be that the display is faulty? Best way to find out is to connect a monitor to Video Output Composite 3. That will show more information about the error. tested with an analog cassette. I do not have digital. error 52 you do not know what it is like for an error. I am currently looking to buy a tape cleaning machine for beta tapes. I Just wan't to do a quick check with you all here on the site! and 2 Grundig, one VCR 3500 and one V2000. One ITC Ikegami TVR-321, One ITT 240 Color VR-240 and one Universum 10300 BetaColor. All of them is starting and have been looked over so now I was wondering if you gays can tell me more about them and what they could be worth, I would also appreciate tips about the best places to sell them. I also got 3 BASF double play bands, DP26, 5 3/4in | 1800ft. I hope you can help me out, Thank's in advance! I have several SONY FLEXICART BFC-1 units for sale . I will accept any reasonable offer . 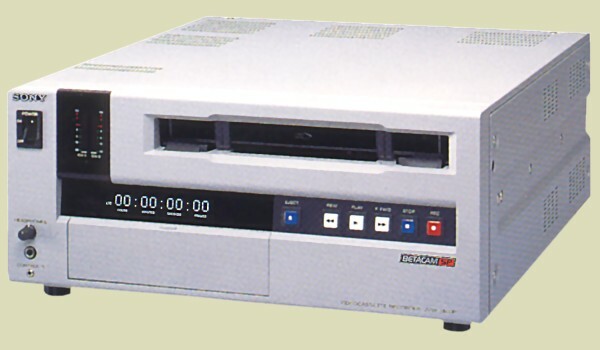 E a HF950 � uma m�quina BetaMAX, n�o uma BetaCAM, a melhor para postar no f�rum certo.